Flaka Surfing is a small online shop built by a friend, Tadej, who is an avid windsurfer. He was hosting his store on a local Slovenian shared host and was not happy with the performance. The store was hosted on a shared hosting provider. 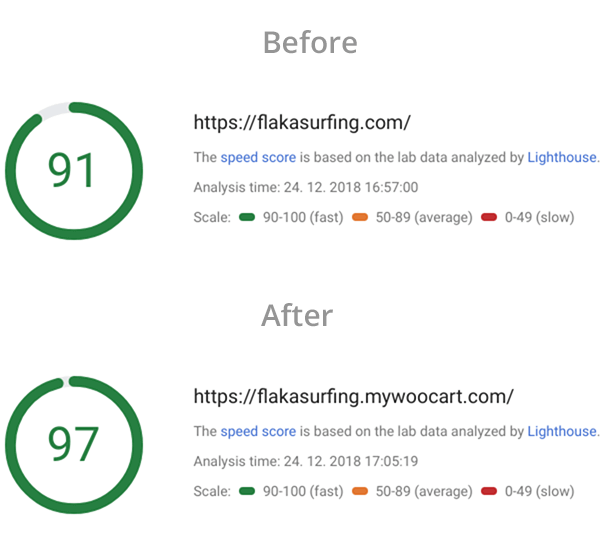 The first step was to migrate the store to WooCart's Google Cloud servers and we immediately saw a 10x increase in page speed! The next step was to to add a CDN (Content Delivery Network) so that images are loaded separately. 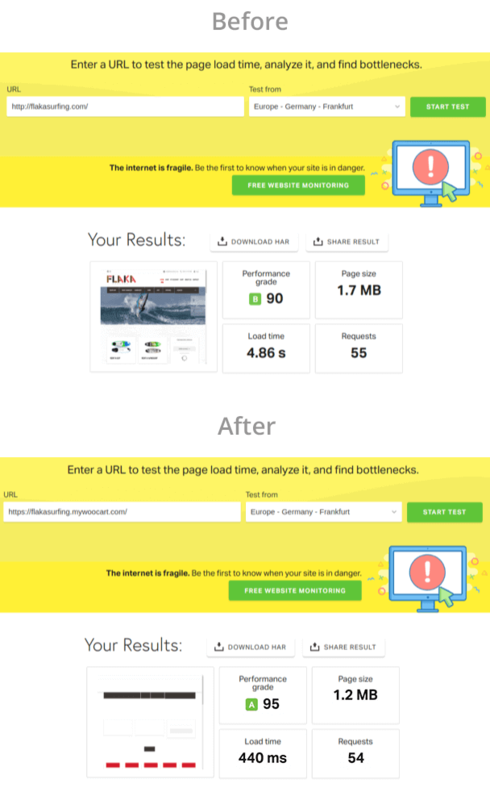 This additionally decreased the page load time by 9%. Unfortunately, the theme had quite a few issues that we wanted to fix before we handoff the store. 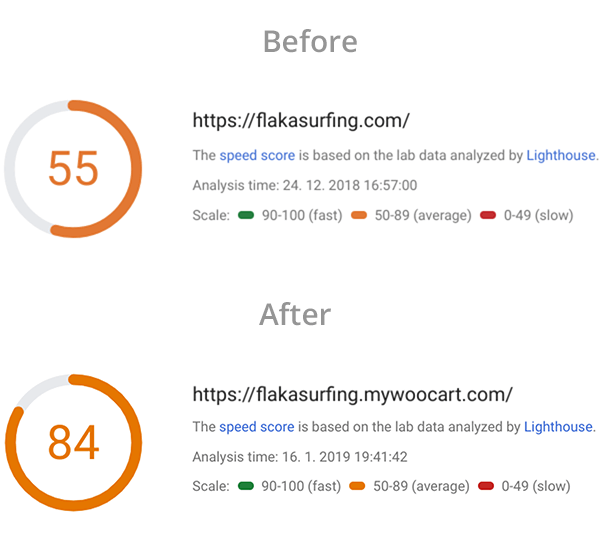 Our developers went to work and fixed the glaring mistakes on the theme, optimizing images and especially removing non-essentials from the mobile homepage for a faster pageload. 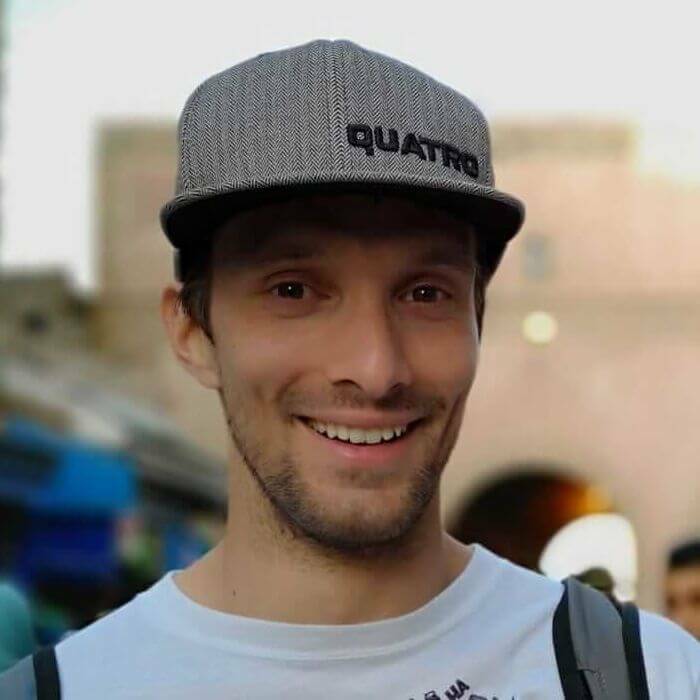 Tadej is pretty new to eCommerce so he asked for a quick review of the store from a marketing perspective. Matei and Dejan have together more than a decade of experience in eCom and they've taken the time to go through the store and find a few quick wins. We've primarily focused on improving the shopping experience. This involved adding Call To Action buttons where they were missing (like in the slider), and reorganizing sections and menus to make it easier to navigate the store. Matei then also prepared a retargeting campaign on Facebook that will allow Tadej to easily bring back visitors that changed their minds. Once we've finished with the marketing recommendations, we've had Tadej review the updated store and change the nameservers. Needless to say, he was very happy.